Because I have to take my lunch (and occasionally dinner, too) to work everyday, I have a great appreciation for meals that make great left-overs and do not need to be reheated. These sesame soba noodles fall simply and deliciously into that category. 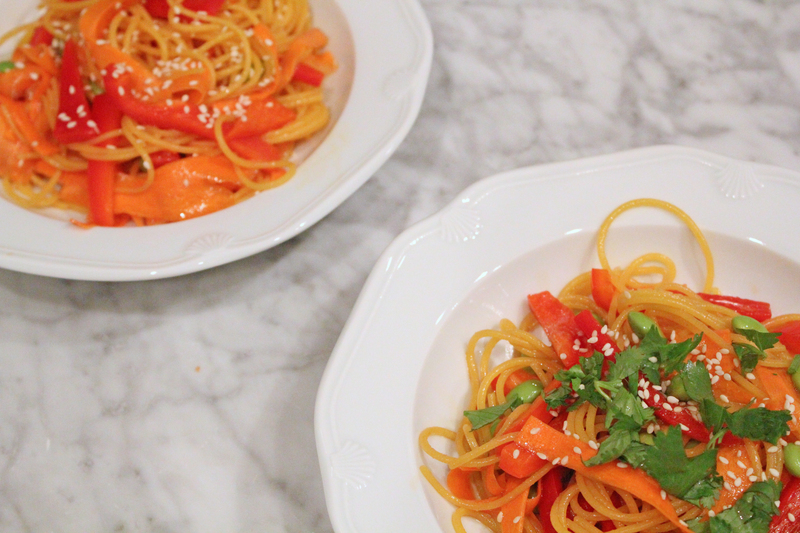 Quick, easy and highly adaptable to whatever you have on hand, this dish is a go-to for me. It’s one I look forward to eating when I make it and I think it’s even better the next day, once the flavors have had ample time to marry a bit. recipe notes: I halved this recipe and got a good 4 meals out of it. It is easily adaptable to whatever you have on hand. 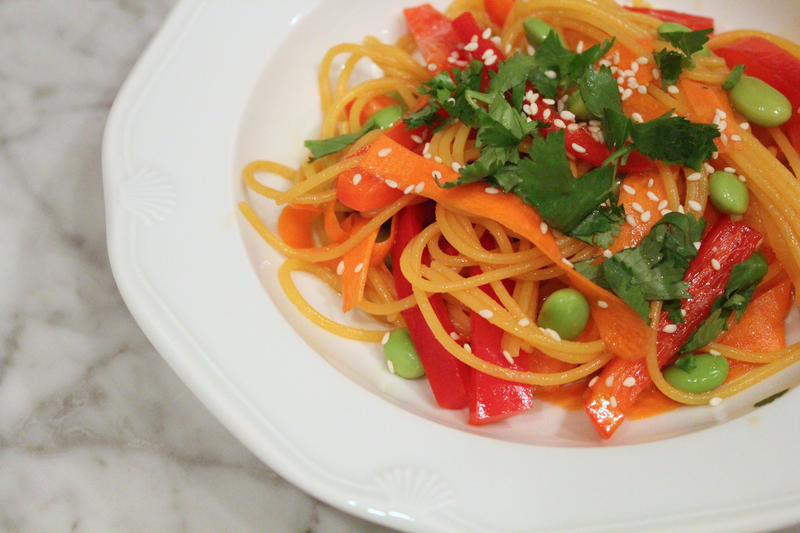 I used quinoa noodles but it can be done with soba or rice noodles (or regular pasta, if you’re not gluten-free). The veggies are also highly adaptable, but I think raw, crunchy ones work best here. 1. Cook pasta according to package directions. Drain and rinse under cold water. 2. While pasta cooks, make dressing by whisking soy sauce, sesame oil, canola oil, vinegar, crushed red pepper and cilantro in a large bowl. 3. Add noodles and vegetables to bowl of dressing, toss to coat. Top with sesame seeds and garnish with extra cilantro.